Queen duvet cover (88" x 88") featuring the image "White Maryland State House Cupola Against Blue - Annapolis" by Christiane Schulze Art And Photography. Our soft microfiber duvet covers are hand sewn and include a hidden zipper for easy washing and assembly. Your selected image is printed on the top surface with a soft white surface underneath. All duvet covers are machine washable with cold water and a mild detergent. 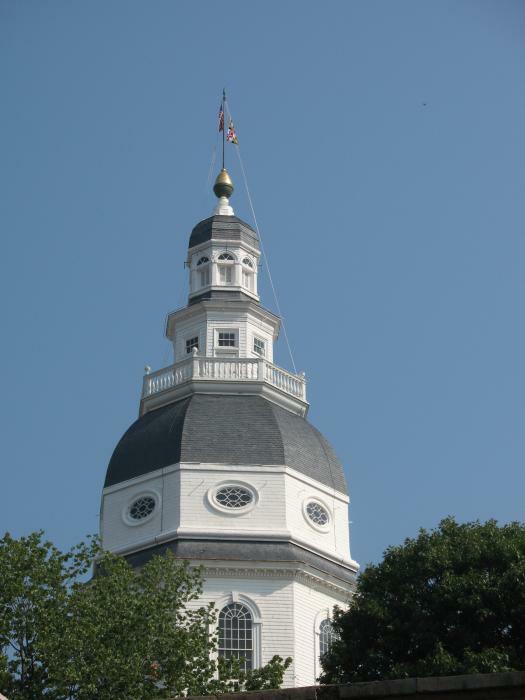 There are no comments for White Maryland State House Cupola Against Blue - Annapolis. Click here to post the first comment. 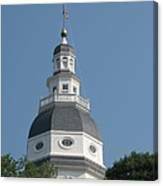 The Maryland State House is located in Annapolis and is the oldest state capitol in continuous legislative use, dating to 1772. 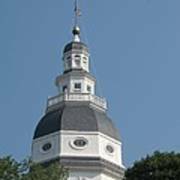 It houses the Maryland General Assembly and offices of the Governor and Lieutenant Governor. The capitol has the distinction of being topped by the largest wooden dome in the United States constructed without nails. 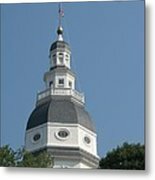 The current building, which was designated a National Historic Landmark in 1960 is the third statehouse on its site. The building is administered by the State House Trust, which was created in 1969.